Hey there, Urban Housewives! It’s springtime, and we all know what that means. If you’re a 20-something-year-old woman in, well, really anywhere in the world, springtime also loosely translates to “wedding season.” And this wedding season, as always, we’ve been seeing a lot of articles going around about the load of bologna that is the diamond ring. Sure, we were all duped into paying insane amounts of money (okay, our future husbands were) for a sparkly diamond that isn’t worth its weight in gold, but is that really the whole story when it comes to engagement rings? Turns out, the answer to that question really depends on where you get down on one knee. In the United States, like in England, France and Canada, engagement rings are traditionally worn on the left hand. But why? Well, many centuries ago, people believed that the vein originating in the ring finger of one’s left hand ran directly to the heart. This vein was in fact called the vena amoris, or “vein of love,” by the Greeks. Turns out that the veins of each finger on both hands have the same structure, debunking the old Latin myth. And not all culture wear engagement rings on the left hand. Engagement rings in Sydney, Germany, India, Russia and Norway are worn on the right hand. Unfortunately for the fellas, engagement rings have maintained their status as an almost exclusively female accessory. In fact, men didn’t even traditionally wear wedding rings in the United States until World War II broke out. At that time, it became quite fashionable for women to give men a wedding band and wear one of their own in return to symbolize the bonds of matrimony wouldn’t be broken by war. The custom stuck, and by the late 1940s over 80% of married American men were wearing wedding rings. They’ve still got nothing on Nordic men though, who traditional get engagement rings as well! So which countries spend the most on engagement rings? Well, unsurprisingly, the United States takes the cake with a whopping 50% of the money spent on engagement rings being American dollars. Now, you’ve got to keep in mind though that that may have a lot to do with the fact that the United States is such a big country and marriage is quite an important tradition to many Americans. In the second place spot is Japan, with 15%, and rounding out third is Italy with 5%. 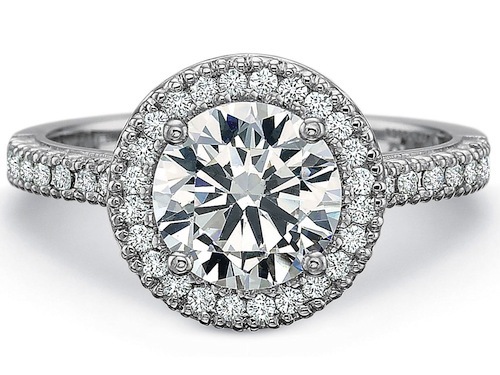 Australia boasts the second priciest engagement ring average, at $4,500. And just in case you needed another reason to envy Beyoncé, her engagement ring from Jay-Z is an 18-carat stunner that cost $5 million dollars. With so much implicit value put on them, the price of engagement rings can often shine brighter than the accessories themselves. But it’s good to keep in mind the rich, romantic history that engagement rings carry, as well as the love and commitment they’re meant to inspire. It’s not all about the bling, after all!